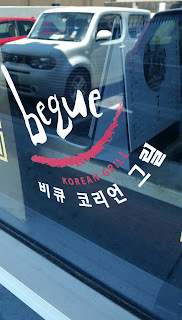 Anywho, Beque is your typical styled place, large table, cooker in the center, meat and veggies pilled around to grill on the center broiler, followed by a plethora of sauces, except this place only gives you two sauces, and they're not very impressive. 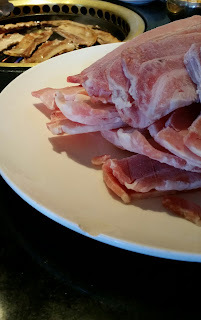 The sauces they give are salt/pepper/oil mixed, and another special dipping sauce for the pork bellies that seems like ginger, bean paste, seasonings, and a tad spicy, that is ok on hot que'd meat. There wasn't even soy sauce to add. With most Korean establishments they do give you a plethora of side dishes that are also endless, with various items, like glass noodles, marinated potatos, kimchi, etc. 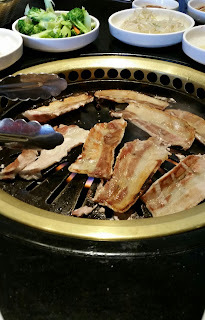 After a few of the charred and que'd pork bellies, and a few of the thin sliced beef, I was becoming very disappointed, and almost removed a star, as even with the sauces there wasn't much more than the various "meat" flavors, no zing, but the saving grace was the Bulgogi. Specifically the very spicy Bulgogi! This meat,the bulgogi, in the 2nd pic above to the right, while arriving at the table looking like something pulled off the slaughter room floor, and even when cooked almost resembling philly cheese steak before the cheese is added, the taste is very, very, good, tender (if done correctly), succulent, and oh my, spicy! 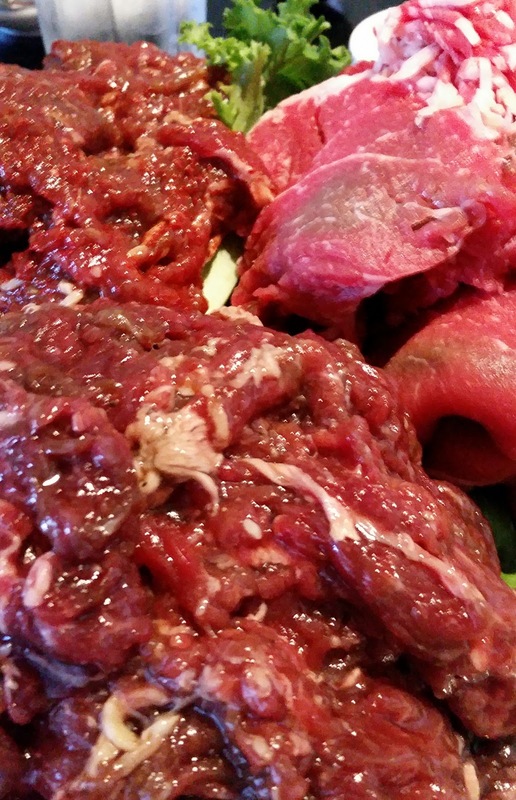 You see this meat is marinated in the "house sauce" and is one of the "all you can eat" options. You can get a non spicy version too, but I don't see why you would. With that said, I wouldn't go out of my way to go here however, especially when I'm at work, as there is a similar place near work. They have lunch special for 9.99 with enough food and plenty of sauces, costs 15-17 with a drink and including tip. 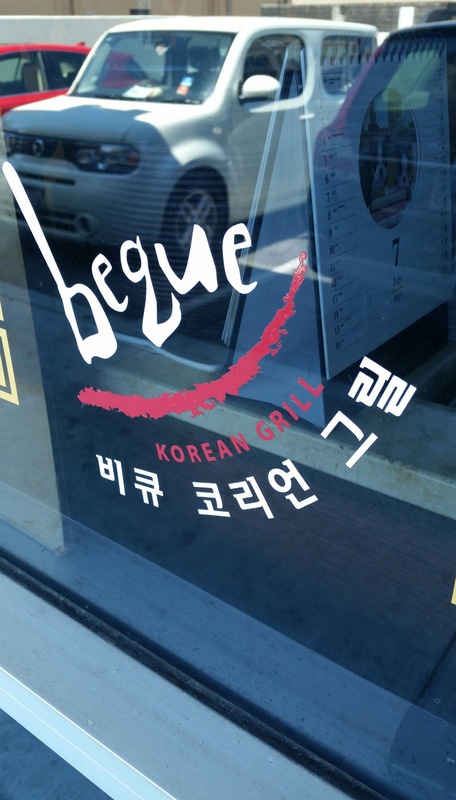 The staff at Beque, was very attentive in almost every respect, that is except for when it came time for the bill. We had to ask a few times, and then ended up just going to the register because we were under a bit of a time crunch. Polished but relaxed Korean BBQ dining experience, with grills embedded in the tables & a full bar.